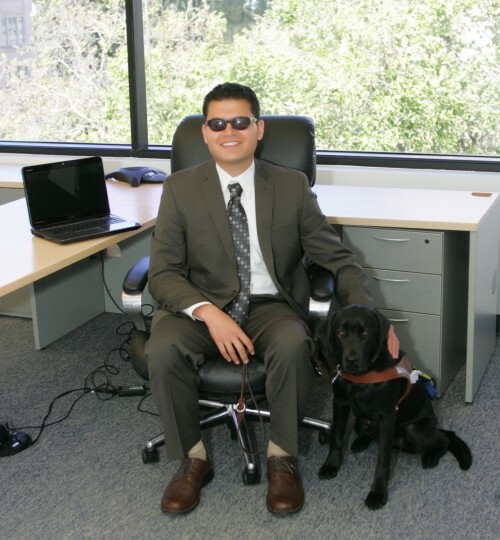 Throughout law school, I aspired to unite my passion for disability rights work and my enthusiasm for technology. I am therefore honored to be the first recipient of DRA’s Wolinsky Fellowship. My work at DRA focuses on ensuring access to technology. On the second day on the job, I began developing a case against Redbox Automated Retail for operating video rental kiosks that are not independently usable by blind customers. Since then, I have drafted briefs, drafted written discovery requests, and worked with our expert in the Redbox case. I also negotiated the final points of a settlement agreement with a leading clothing retailer that was using point-of-sale terminals that were inaccessible to blind customers. Now, blind customers at these stores can use the point-of-sale terminals to complete their purchases without disclosing confidential financial information to third parties. I am also working on two negotiations to improve access to technology deployed at Bay Area public transportation systems.